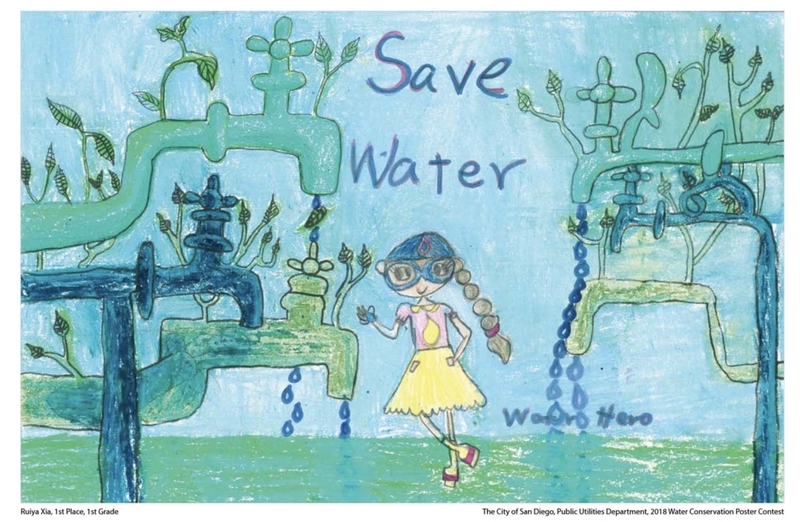 Eighteen talented San Diego, Coronado and Imperial Beach elementary school students used their artistic skills to communicate the importance of water conservation in the City of San Diego’s Public Utilities Department 18th annual Kids Poster Contest. 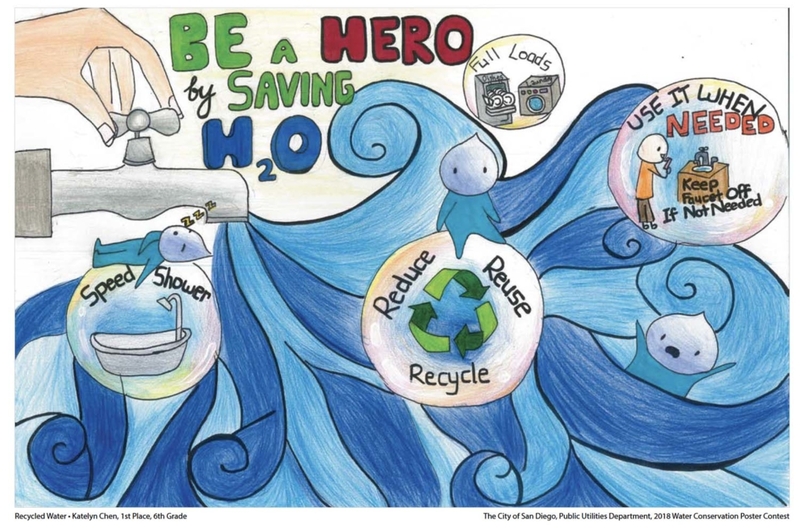 Winning entries in the contest are featured in the 2019 Water Conservation Calendar, which debuts this month. 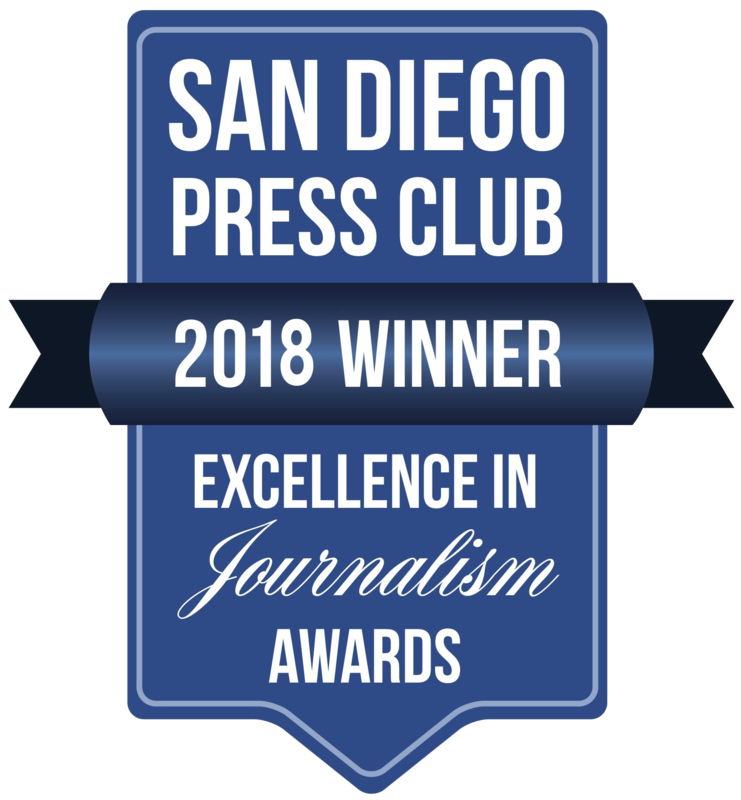 They are available free for pickup at San Diego city libraries, recreation centers, and at San Diego City Hall, 202 C Street downtown. 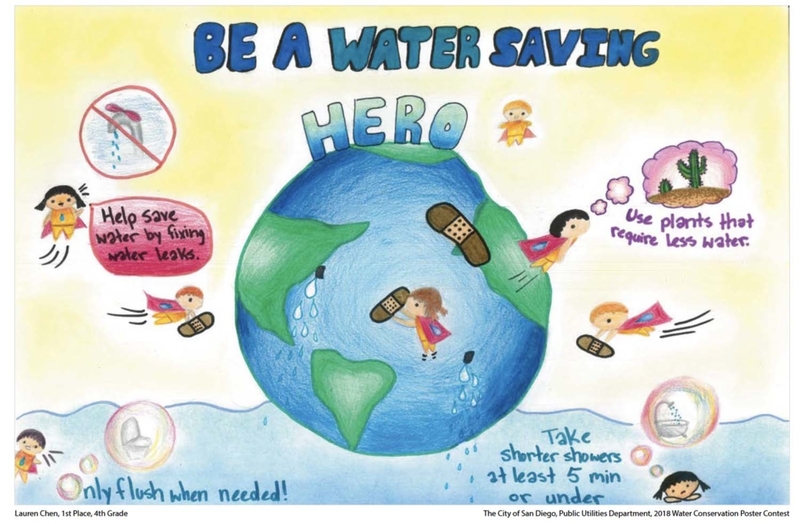 The theme “How Am I A Water Conservation Hero?” asked students to imagine themselves saving water from being wasted. 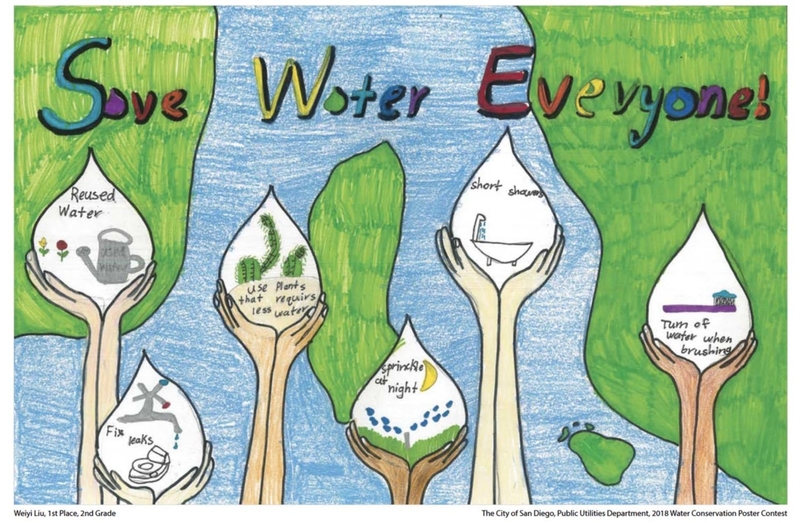 They could draw, paint, color, cut and paste original artwork depicting one important message about water conservation. 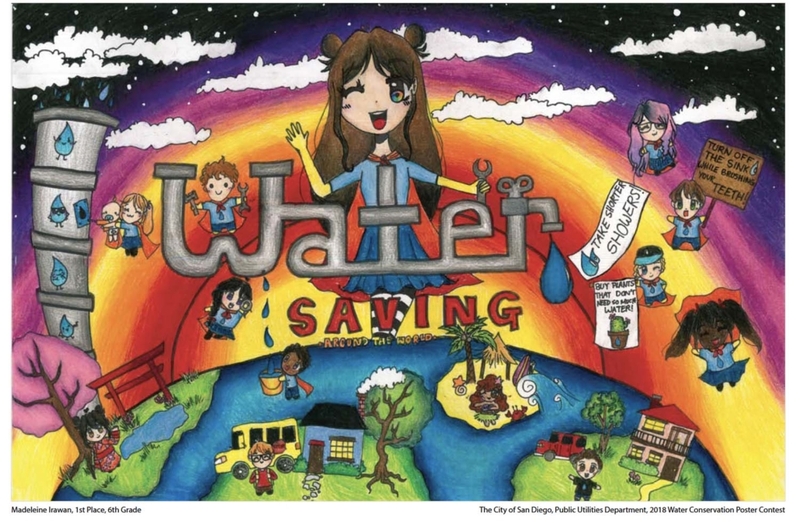 Winning students were honored at a City Council presentation in 2018, and their artwork was featured publicly at the San Diego County Fair and San Diego Watercolor Society Gallery. 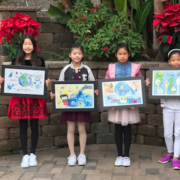 In addition to being recognized as community ambassadors and local conservation celebrities, winners received gift cards as prizes and publication in the new calendar. 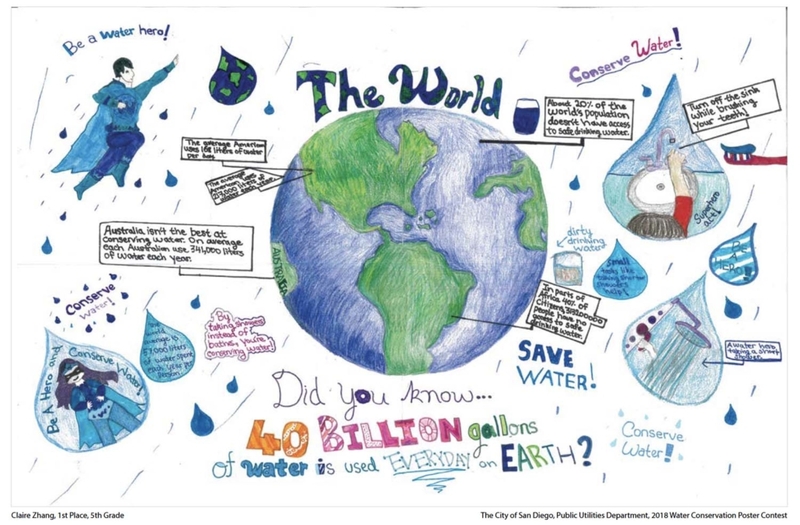 The winning posters will be displayed throughout the City of San Diego all year. 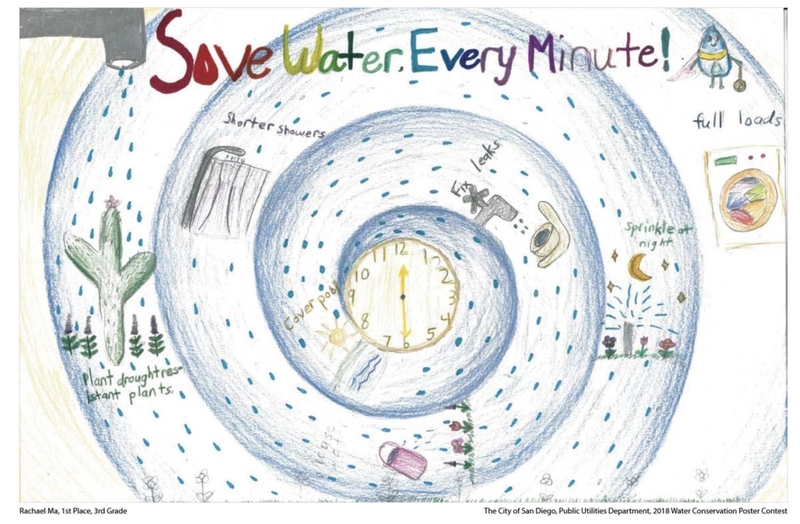 Winning posters will be featured in the 2020 Water Conservation Calendar. Winners will be honored at a San Diego City Council meeting and have their work displayed at the San Diego County Fair and in the San Diego Watercolor Society Gallery. The entry deadline is March 22, 2019. More information is here.